← Bloomers? Manners? Music? An Exciting New Look at the Life and Times of Our Namesake! This guest post comes from Erika Howard. Howard is a senior at the University of Rochester, an editor at the Campus Times, and President of the Undergraduate Council for Gender and Women’s Studies. In her spare time, she is also one of three SBAI student office assistants! 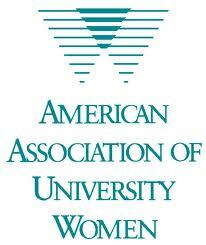 It’s the birthday of the American Association of University Women (AAUW), and as such it’s time to celebrate! The AAUW is a non-partisan, non-profit organization that supports and empowers women and girls through advocacy, education, philanthropy, and research. It has over 150,000 members and supporters across the U.S., as well as 1,000 local branches, including one in our very own Rochester. The Rochester branch has been extremely active throughout it’s history; it supported the women’s suffrage movement, endorsed the Federal Child Labor Amendment in the 1930s, as well as pioneering legislation for Social Security benefits for household employees and equal pay for equal work, and much more. More recently, they began a mentoring program for girls in the Rochester city school district called “Women Helping Girls,” and sponsor the “Empowering Middle School Girls” conference. Happy birthday to an important organization doing incredible things in the Flower City (as well as much more nationwide)—we appreciate all you do! This entry was posted in Guest Blogger, News and tagged #AAUW, #birthday, #rochester, #women'sstudies. Bookmark the permalink.